All those pads – it took virtuoso finger drummer Mad Zach to take advantage of them. Mad Zach’s five free Drum Racks accompany today’s release of Ableton Live 9.2. Since he, frankly, makes most of us look bad with his agile use of the Push hardware, I wanted CDM to talk to him more about what he’s doing. 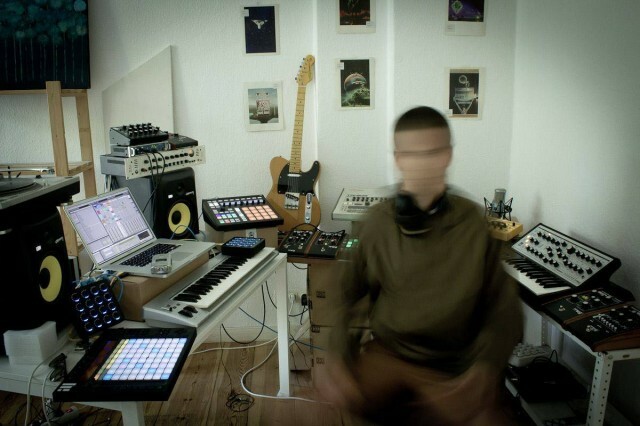 He joins us to share some tips for live performance, production, DJing, and more. Can you talk a bit about finger drumming? How do you practice / how do you stay nimble? For me, finger drumming is a chance to truly play electronic music like an instrument. It lets me break out of the confines of linear music programming to infuse something alive into the sinews of my music. One of the things that interests me the most about it is the balance between sound design and performance technique. Because of how much power there is in great sound design and minimalism, there’s a lot of room to do something incredible which is actually quite simple. In terms of staying nimble, I treat it just like I would guitar or drums — practice all the time. I don’t really do any special finger exercises other than jamming all the time and trying new stuff/patterns as I discover them. You’re using Live 9.2 now. Anything you’re using in the upgrade (apart from the bits you added)? Congrats on the pack; it’s really great work. How might people extend it in their own work? The packs are really flexible, they can be used for finger drumming with a 64 grid, or also just loaded into a project and used for production. Additionally, all the waves have been organized so you can just sift through the one-shots and find something interesting to kick off an idea, or flesh out something you already have. Lots of sick stabs, bass noises, drums, atmospheres, etc. I often drag the waves directly into my timeline and chop them up directly, or drop them into a dedicated midi track with a sampler, and play them on the keyboard. Okay, so that’s your pack. How might users go about organizing their own packs for performance and studio inspiration? I usually like to start out pretty experimentally, just recording 30 minutes or so of different sounds – whether it’s synth noises, or sample manipulation, resampling, etc. I’ll set up my hardware in different ways and play around. Once I have a nice chunk of audio, I bring it into a Drum Rack and move the start point around looking for cool bits. The drums are a bit of a different story because they are more specific. So, in my own music making, I like to use Ableton and Push alongside other drum machines, too – both hardware and software, so ranging from NI Maschine to the KORG volca sample and Jomox Xbase09. I’m curious, do you combine the Live workflow with any other tools? If so, how? Yes, I’m a hardware freak. Mostly I just use Live for recording the audio and putting it in a Drum Rack. I’m always running MIDI out to my gear, processing the signal through a bunch of pedals, resampling it, etc. One of my favorite sounds in this selection of packs I made by chopping up an a capella, pitching it down, running it out through the Moog Moogerfooger Ring Modulator [MF-102] with some overdrive, resampling that back in, layering it with a long 808 kick and putting those together back through the Moogerfooger Cluster Flux. Then I pitched that down, reversed it, and booom, my favorite new bass sound! And how do you go about DJing? Are you working with any hybrid live/DJ sets? I do a hybrid live/DJ set that fuses my original productions with finger drumming sections. After much experimentation, I’ve come to that balance because I think there are certain things about DJing your tunes which are really good, and expected, while finger drumming offers something new and exciting for people. By fusing the two, I’m able to have the best time, and also give people a nice balance of what they expect, while surprising them with what they don’t.